Services | How Can We Help You with our services? With over 15 years services, we’ve seen it all! We are experts in the field, with experience in fitting cylinder rim locks ( Yale locks), and the mortice locks. Furthermore we also know all about multipoint locks, uPVC style mechanisms, and your traditional window and patio door style locks. If you’ve got a faulty safe lock, or cabinet lock, we can help with that. If you’re locked out, we can help gain access. Working with locks can be a complicated business, and should only be completed by a professional who knows exactly what they’re doing, and has the right tools to do the job. It’s even more vital when working with plastic frame or wooden doors. In addition to over 20 years of experience in the field, Tony, the owner of AJ locksmiths has seen it all before, no matter how complicated your situation may seem. These are a specialist type of lock that’s been given the highest standards from the locksmith association, to prevent the burglar using a lock snapping technique. Learn more in the video, or click here for more information on our page. If your lock is faulty, then we can help. We’ve experienced many different types of lock faults over the years, on many different types of doors. If you’re looking to add extra security to your home with some new locks. 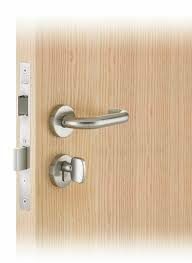 We can provide you with various locks, including Yale cylinder rim locks, mortice locks, and uPVC mechanism locks. If you need some more specialist locks fitted, such as multipoints locks contact us. We offer a 24 hour call out service, to help you get back inside as quickly as possible. We will gain entry using non-destructive methods. We can fit locks you already own, or refit locks that may have moved out of place.If this is something you are unsure of, we offer a phone consultation to get to know your problem a little better, simply call us on 07729 554 332 now. Our engineers are specialists at helping you gain entry through non-destructive entry techniques. We will gain access efficiently and quickly, make sure you don’t wait long and catch a cold, call us now on 07729 554 332. Find out more about our emergency locksmith service here. No matter where you live in Leicester. We can offer a domestic locksmith service for you in your home. If it’s a lock change, lock repair, door repair, window lock repair, or a home security problem we can help. See our residential locksmith page for more information. If you own your own business, then we can provide a commercial locksmith service to you. We work with many different brands across Leicester to provide emergency and ongoing support. Including changing locks. Visit our commercial locksmith page for more information. If you need to add some extra security,then we can help with a range of different access control. This is really useful both in a domestic and commercial environment. Expert Services – we never charge you a call out fee, whether it’s 9am, 2pm, or 2am! Simply call us on our hotline and we will be there within the hour, often a lot sooner. You can learn more about us here. We are one of the best rated locksmith in Leicester, and furthermore we pride ourselves on our numerous 5 star reviews, you can click here to browse our reviews. If there’s anything we haven’t explained about our services, then please let us know and we’d be happy to clarify it for you, simply email us at help@ajlocksmithsleicester.co.uk.